In 1950s, when Turin was right in the middle of the Italian economic boom, with Fiat busily producing motor cars in what would be the start of a new transport era, Mirafiori was the industrial town in the city. At that time of extensive building and technological development, Mirafiori was home to the largest industrial area in northern Italy, and it was an ongoing expansion. The south-west borders of this small city within the city of Turin was the Sangone river. Around the same time, among the industrial buildings where car engines and bodies were taking shape, the Avio Aero Test Center was established. “The activities taking place at our center”, explained Michele Fantetti, Engineering Experimental Testing Leader, “are linked to technology validation and certification of the modules which Avio Aero has responsibility for within the NPI programs (New Product Introduction ed. ), as well as the NTI programs (New Technology Introduction ed. ).” In fact, Fantetti studied locally at the Politecnico di Torino - a breeding ground for engineering talents traditionally attracted by the city’s main industry - where he, however, graduated (with honours) in aerospace engineering, adding to the large group of engineers that have used instead that university as a launching pad for a career in the aviation sector. 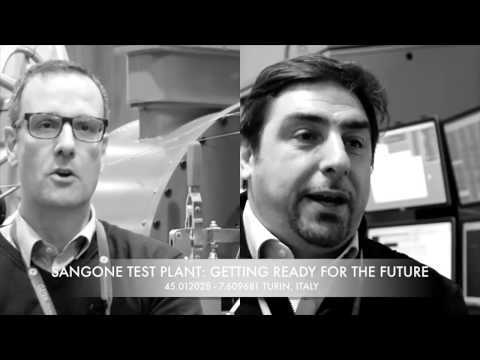 “In reality, the Sangone center is not just connected to the GE Aviation Testing Engineering Team, but also to its counterparts in Pomigliano, the Flight Test Center in Caselle (Torino), the Labs in Rivalta and PoloniaAero”, explained Fantetti who, in his career at Avio Aero spanning more than fifteen years, has covered roles ranging from turbine and transmission design to engineering responsibilities alongside the Supply Chain and, of course, testing. All in different places, in Italy and in Europe. The Sangone Experimental Center has been revamped, with these new testing rooms and new products to test. It is changing and transforming, but its DNA still remains the same, with an enduring connection to testing which enables innovative solutions to be found for the engines of the future. And, given the close proximity to the car industry, some day we could even spot a flying car in the skies over Turin.